Try Nokian All-Weather tyres instead! All-Season tyres can be dangerous when the weather turns cold and the roads turn to a snowy, slushy, and icy mess and provide lackluster performance on wet and dry roads. With Nokian Weatherproof SUV tyres’ unique combination of safety and carefree driving comfort in any weather - you can forget the forecast! 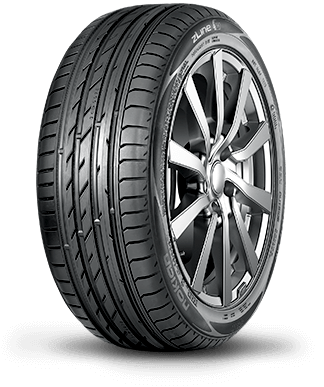 A high-performance all-weather tyre that manages high wheel loads firmly on ice, snow, bare roads or slush. Nokian Tyres' revolutionary All-Weather concept combines reliable winter safety with driving stability and firm handling of a summer tyre.